As educators we should always be looking for ways to promote inclusion within a classroom setting. During our class presentations and our own experience of being in the classroom, we noticed that when addressing students, most of the time we say "You guys". After taking the time to think how this would impact students of the opposite gender, or LGBTQ students we think it is time to adopt the Native Texas term of Y'all. As I close my eyes and drift away to a land where there is love, health, peace, and blessings. I wanted to take the time to think and reflect. The truth is that during the past few months I have been very privileged to work with victims / survivors of abuse, trauma, and sexual abuse. The workshops were designed through the life of Frida Kahlo, her diary, and art. Through this exploration, the goal was to reflect upon the self and expressions through reflective writing, arts, and photography. This experience was very rewarding for me to see the developments, progressions, and healing that took place through this journey. Being a witness to see the growth was so humbling. This is the beauty of giving back to others. It is not to claim and show off to the world that I am doing this or that. Giving back should be seen as moments where we can learn from the communities that we serve. Sometimes we can get so caught up in life, we have so much, yet still feel dissatisfied. Going into communities where there are less fortunate individuals reminds us of everything that we do have. A reminder to be grateful. In social psychology this would be termed as Downward social engagement. For anyone who feels like that they are in a place where nothing is going right - begin to think about someone who is less fortunate . You will automatically begin to feel a sense of hope. The opposite is true of upward social engagement. This is the process when you want to be in a better place than you are. Think of some one who you aspire to be like, automatically you will feel a sense of hope. An inclination to work towards this goal. The two processes can be put in to practice with a simple exercise. On a sheet of paper have the participant draw two diamonds. In diamond one, the client will write down words that he / she feels at the present moment. These should be reflective of the current emotional state. In the second diamond ask the participant to write down words that are reflective of an ideal emotional state. After this has been done. We can unpack the two diamonds into short term and long - term goals. For example: if the participant wrote the word "Sad" in the first diamond, we can brainstorm how that mood can be elevated to a positive. It may just mean engaging in a daily exercise or self - care. For the second diamond if the participant wrote the word "secure", we can use this as an avenue for a long - term goal. How will the participant move to a state of being secure. Could it be by finding a job? Or will this job require joining an apprenticeship or formal schooling? During my time there I not only shared art and writing, but I also emphasized that I am providing a tool. A tool that should be utilized for the attempt to heal. 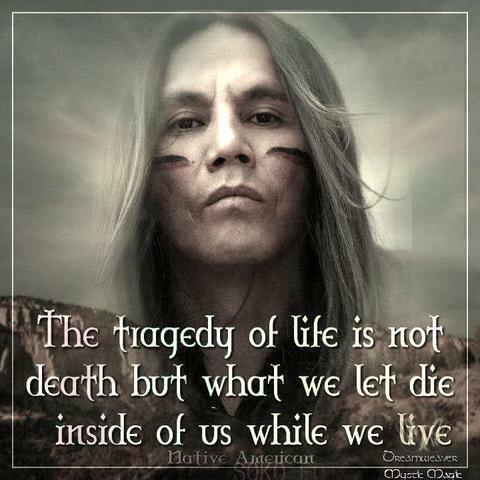 Anyone who has experienced trauma in some sense has the ability to heal. Sometimes it will come from a place where social supports must be put into place, before the real internal healing can take place. Ultimately we can have all the supports, but there must also be a push from the inside. This could just be through a daily goal. A simple daily goal could be the best way to begin to re- build confidence. Violence can happen to anyone, anytime and at any place. It is the unfortunate reality. I was taking the time to think about the United Nations campaign to end violence against women. There is certainly a need for this type of campaign, Especially when women continue to gain unwanted attention to the point where they silence themselves. This is one example. I was also thinking about the cruelty of women. Do we ever talk about women being mean to each other? This is also another reality. Women also need to recognize women of all faiths, "race", ethnicity, gender and ability as their equals. All women are beautiful, unique in their own way. This is also a topic that needs further attention. One clear example is the baseless comments by Gigi Hadid of Melania Trump in the public eye. What types of messages are these incidents sending? Is it OK for another women to attack another woman in the public eye? I would also like to thank celebrities such as Selena Gomez and Kanye West how have opened up about their experience of Mind health. You see this is why we must be thankful everyday. Thankful for the breath we breathe, the heart beat that gives us life. As much as I am glad that there is a day set aside for Thanksgiving, where family and friends can gather together. A time for renewal and reviving the very values that we cherish. They should also serve as a reminder, that everyday should be a day to give thanks. Every breath is a chance to say thank you. There is always someone who is less fortunate than you. These thoughts can also be linked to the protests that took place on the day of Thanksgiving. Not only did we witness the brutal deaths of the Football players in Kentucky, we also learned of the violent protests of tear gas that disrupted the thanksgiving for the Native Americans, because of the Dakota Access pipeline. I ask myself - when anyone is protesting the environment - we may also think about the people as well. Are those lives not valuable? If we are so concerned about protecting the environment and the planet, then we should also be concerned with the protection of people. Both go hand in hand. Humans need a habitat, yet without humans, what is the point of a habitat? "Protests" that risk the life of humans are not worth it. Instead of the protests, why not try to find viable solutions? As with all era's - social and technological revolutions also mean, seeking new ways to enhance and deliver for the sake of social upheaval. Humans need as habitat, yet without human's what is the point of a habitat? - Human life matters. Dedication: The words of this being are dedicated to the two football players and the four hurt individuals in Kentucky during the NFL football game. Football games are a tradition on the day of Thanksgiving. It is with a heavy heart, I write these words as we continue to hear of the violent eruptions, and loss of life. Habitat needs humanity. My thoughts to share with love & kindness. Notes: These thoughts were originally hand - written on November 26th 2016. Please note the process of Upward and downward social engagement are described in the most simplest form. Also the examples of the activity are not attributed to any individual directly. Names of client and location are private and confidential. As I close my eyes and drift away to a land where there is love, health, peace and blessings. I wanted to take the time to think and reflect. Actually, this is the beauty of a thought. Even after we have taken the time to flesh out our thoughts, we can still take the time to think about the thoughts. This is the beauty of learning, thinking. It does not end. Just because someone has finished formal schooling. It doesn't mean that learning ends. Learning can happen anywhere. Through our life, interactions, experience. Learning never ends. These thoughts are connected to my previous thoughts. It was a firm stance and principle that I felt that a personal attack should not take place in the safe space of a theater. A theater should remain a safe space where individuals can get together to enjoy a show, as well as learn and interpret the show by formulating their own meanings. Whilst V. P Elect Mike Pence graciously accepted that he was not offended - the incident can be open to a broader audience, or even taken to the classroom. Ask the students - should a personal attack be allowed to take place in a safe space of a theater? Should paid artists be allowed to take these steps? Then we may think about what Kanye West who decided to speak in favor of Donald Trump and ask his concert members to accept these results, and move to a mode of union. The difference is that this was his own concert. In a sense he is a free - lance artist who is speaking out. This was the difference. He faced back lashes. Now he is going through health issues. Whilst the star of "Hamilton" has remained, carrying out his final show. Then we can add another layer when Gigi Hadid decided to impersonate Melania Trump (who has since apologized). I mean does it end? Or will it end? If you think about it, the Clinton Campaign was very concerned for the rights of women. So does it make sense for any one to impersonate another woman? If nothing else, it should be a time for all to move along to a mode of union. However we must also remember that unity can be imitated by a single person, but it takes all, everyone to reciprocate. Unity is a reciprocal relationship. My thoughts are not a personal attack on any of the celebrities involved. They are simply analytical of the events that have taken place. They are not also an attack on the musical "Hamilton", itself. Once again they are analytical of the events that took place. After taking the time to think about these events - I thought to myself: There will always be those who are critical about what or who a person is. We cannot stop this. Everyone has a right to an opinion, how or where it is expressed can be called into question. However, as the Republican party moves towards transition. I think it is important to rise above the critics. And remember the passion and premise of the Republican party. There will always be a critic. Sometimes it is others. Sometimes it is our own self. No one can please everyone. This thought can also be connected to parents. We have to choose our battles, similarly in the public domain, We face choices and have to make decisions. We can only simply raise the awareness with the hope that individuals themselves will turn their gaze to a mode of unity, within the Republican party as well as with those who are in opposition. Dedication: To all beings - be thankful. Notes: These thoughts were originally hand - written on November 22nd, 2016. As I close my eyes and drift away to a land where there is love, health, peace, and blessings. I wanted to take the time to think and reflect. The truth is that my thoughts are being disrupted by the current event that took place last night November 18th 2016. I heard and saw the news today that out - rightly demonized our new Vice - President Mike Pence, when he decided to go out to watch the Broadway Musical "Hamilton". At the end of the show the lead of the show read lines that were not part of the script. He shared his angst on behalf of the whole cast. For me, to learn this news as an artist, it was heartbreaking. 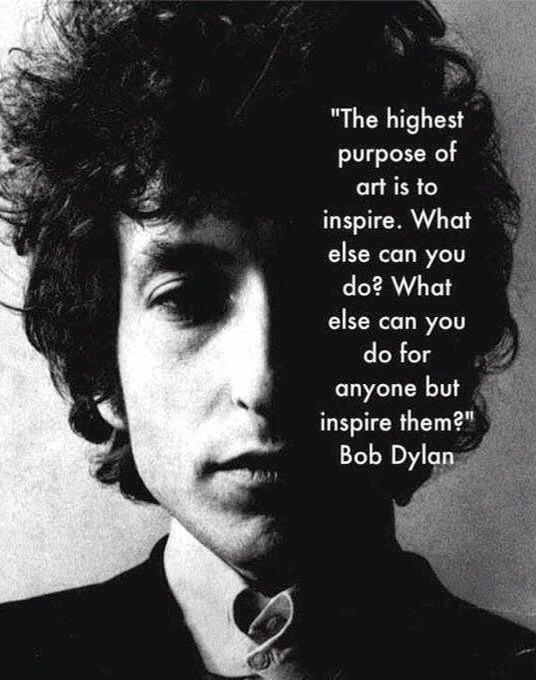 Because I have always thought of artists who always seek to inspire. This is the job of an artist, to inspire. Whilst opinions may be agreeable or disagreeable, this is the way of the artist. It is a revealing a showing, a suggesting. 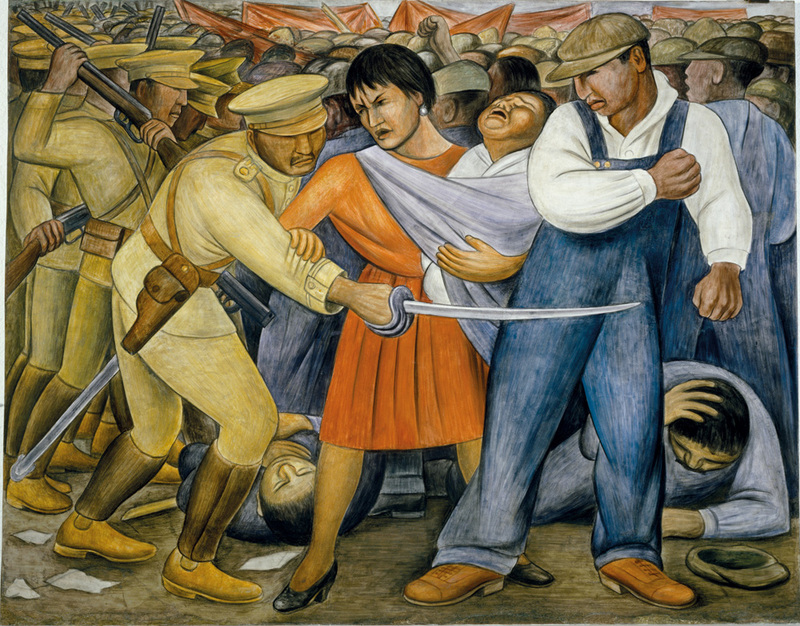 For example: Diego Rivera's art was very concerned with the social and political movements, this was due to the revolution that was taking place in Mexico city. So through his art he was able to express what he felt, about the social and political movements that were taking place. However, when a painting is hung on the wall of a museum, or a gallery. The artist is not there physically to tell the story of what, when, where, how, or why of the painting. Whilst we can do research to discover the contexts of the art, without knowing the meaning is very beneficial. We are firstly able to formulate our own meanings. This is the purpose of art. To invoke. To inspire. This art is part of the mural of Diego Rivera. Revealing the Mexican Revolution and the Depression era of New York His are paid a pivotal role in shaping the Social and Economic policies in America. Similarly, when we watch musicals or a Broadway show that has been scripted, what are we to do when artists transcend beyond the script? Was it right for the lead performer to do this on behalf of the cast and directors? Was this the right platform to be showing this political opinion? The difference to what happened at the Broadway musical from the position of Diego Rivera, was the fact that the lead performer and the cast of "Hamilton" were getting paid to perform. In other words the audience was paying to watch the show, not to hear smears to one single individual in the audience. It does not matter if it was the VP or not. This is outright libel, could even be a deformation of character. A personal attack. We all have the right to a political opinion, but in this case. It just went too far. This is heartbreaking because now as artist's we are all in a shadow. You have marked the arts. You are paid for your performances, not paid to demean an audience member. I think that ultimately there should be accountability on the part of the cast, directors, also the mangers of this location should also take a stance. This can be seen as a "breach of theater protocol" (The New York Times). Once again we are reminded about the dirty politics that are circling. Even as the new President and Vice - President have been selected. There are many avenues to express how you felt about the outcome of the election. This was totally inappropriate. At this point I would like to commend other artists for coming out to condemn this act. This act is not art. This is not who we are. Please note: Whilst many have tweeted the hashtag - #BoyCottHamilton. I have decided to use this hashtag to appeal to a wider audience only. As with all our thoughts, I would like to use this space to inspire, and encourage all those who were involved to think and reflect. Maybe it is time to claim some responsibility and accountability for these actions? Notes: These thoughts were originally hand - written on November 19th, 2016. Frida & Diego. Passion, Politics and Painting. Edited by Dot Tuer and Elliott King. Distributed Art Publishers, 2012. As I close my eyes and drift away to a land where there is love, health, peace and blessings. I wanted to take the time to think and reflect. The truth is that I have been taking the time to think about the after - math of the horrendous race up to the election outcome. Bloody, deaths, earthquakes, shootings, and severe losses that will never be forgotten. As much as it is my hope that we begin to move to a place of unity - maybe we have at the level of the macro. But at the level of the individual, to those that have suffered and sacrificed at the cost of this pain - it will take time to heal. As we see students march on the streets, in a place of deep distress because of the election results, instead of encouraging these protests, I think that it is a time for everyone to simply except the results. And ask the question - how can a winning and a loosing side heal and move to a place of a, healthy and wholesome leadership, that is nourishing for all walks of life. Everyone is hurt in someway or another. And I think that this is where the educators role can be utilized, why not use these moments as teachable moments. How can we incorporate ideas of unity in a classroom? Sometimes our opinions will differ. It does not mean one person's opinion is worthy and the other one is not. It just means that our opinions differ and that we can learn from each other. I would also encourage educators at all levels not to bring in their own preferred political opinion to the classroom as well. For example - if your candidate lost then don't download your negative views about the winning candidate to your students. The candidate that won the election has been selected, and it is now the time to move into a mode of acceptance. You see, a student sees an educator as a role model, someone that they can look up to. If a specific preference is mentioned now, it is a type of indoctrination, an invisible suggestion of compliance. We can help navigate a child / students political opinion, but as educators, we should never force our opinion upon a student. As we move along into the mode of transition it is time to be mindful of the fact that America is a diverse nation. How is this diversity going to be preserved? How will individuals from all walks of life begin to feel comfortable and welcomed by a new presidency? As the deep divides have been uncovered, it is now up to our new leaders and teams to take a stand for all of America. If you really think about it, individuals, groups and communities who are in a position of opposition are worrying about something that may never happen. maybe it is time to await the unfolding, and see what our new President has to offer? Let us move beyond killings, shootings, bloodshed, let these serve as a reminder - that America can and will do better. I was introduced to the art of Frida Kahlo at the age of 15. Ever since this time from just admiring her art work, to reading about the history of her life. I continue to be intrigued by her life story. She wrote in her journals, her letters, arts. These were all mechanisms for her healing. She was telling her life story through these outlets. Her strong exterior demonstrates the strength of a woman. With trials and tribulations, she never gave up. Her story can also be related to that of Dahlia Ravikovitch, a poet from Israel. I have recently been reading her works. 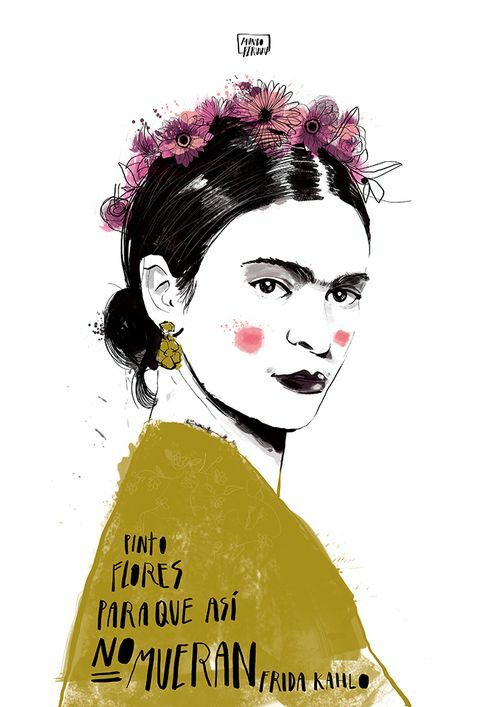 What she shares with Frida Kahlo is using the poetic form as a emotional outlet as well. She also faced the trials and tribulations of life. It was through her writing she filled the voids. The lives of these women are in itself a teaching. Women must write, women must share their stories. These stories should have an unlimited audience for all to learn from. Men must hear the voices of women as well. If we want to create the space for equality, then men must hear the voices of women, and women too must hear the voices of men. These thoughts can be related to any gender as well. As I close my eyes and drift away to a land where there is love, health, peace, and blessings. I wanted to take the time to think and reflect upon the idea of being a mother. The truth is that when we become a mother, having the time and space to think about how it feels to become a mother is sometimes rare. This is actually quite true for me, especially because I was young mother. As a mother I had to become a responsible young adult, giving up much of what was the norm for my peer group. The life experiences that arrived have been such a beautiful life gift, experiences that you cannot gain from any book, or even another person. We can gain so much new learning from life experiences, there is so much wealth in these, as you are able to see from many different perspectives and angles. This is the beauty and gift of becoming a mother. We always put the good and well - being of our children in - front. Sometimes we can make a decision that the children do not agree with, as adults this decision is made because we we feel that it is in the best interest of the child. This is what unconditional love of a mother is. 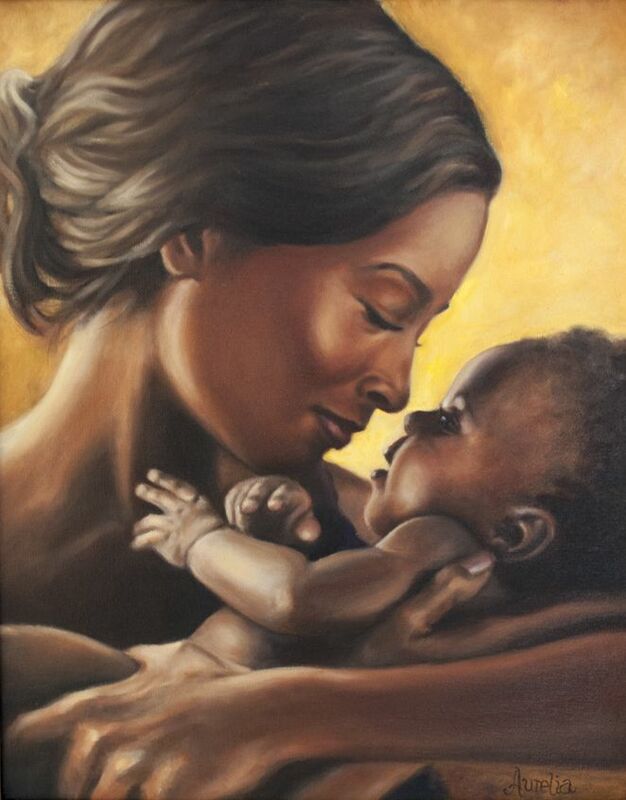 A mother does not see a race, ethnicity, gender, sexuality, or ability as a force to create divisions. A mothers sees and seeks what is in the best interest of the child. But what about the child who has become dis-respectful? 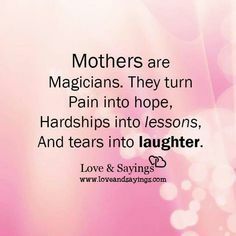 Or is constantly bullying a mother? You see a mother's love never dies. It doesn't matter if the child becomes a bully to the mother, but it will mean that the mother has to set some rules, make room for discussion, and set boundaries if needed. No one has the right to bully a mother, not in my books. When these rules are set, we are not saying that we don't care, It is saying that maybe it is time for the child (young adult) to discover the world, and in time maybe once again the child will return, into the healthy wholesome space of love. This is the beauty of a mother. A mother will always remain patient - her love does not end. It is an endless ocean, simply waves that desire the best for the child. A navigation of life itself. Notes: These thoughts were originally hand - written on November 15th 2016. As I close my eyes and drift away to a land where there is love, health, peace and blessings. I wanted to take the time to think and reflect. The truth is that I have been deeply moved and saddened by all of the protests, that are taking place in America, because of the outcome of the election. The extremity of these protests is actually heart - breaking. Especially when you see individuals who are burning their own flag. This act is an utter act of disgust. It does not matter if their party won or lost, burning of the flag in your own country is unacceptable. I am actually quite surprised that the Democrats have not even breathed a word about this. Are they supporting these types of acts? Is this OK to them? It is simply revealing that you have no regard for your own country whatsoever. In a position of a win or a loss, these protests are called into question. After seeing many posts on social media. I realized that these are organized protests. The burning of the flag is an act of terror, and whoever these people are have to brought out, found and held accountable. It is so heartbreaking. From another perspective, I began to think about these protests. They did not falter in my belief of a Republican lead. This is a huge change for the Nation of America, even the world. It will take some time for individuals to accept this change. Change will be accompanied with disruption. This disruption is asking for a holding if you will. I think that it is time for main stream media to begin to broadcast positive's to help communities accept this outcome. When I watch news media channels such as CNN. Hmmm ..... you are broadcasting the news, but you are also perpetuating the people. Your reporting is actually very swayed and biased. Maybe your news channel needs to start reporting towards a transitional focus as well? OK fine I understand you have to report what is happening, however can we not begin to investigate if these protests are being organized? You see this election was a win win for all if you ask me. It revealed the darkest corruption that exists within a country. Where we witnessed the highest form of corruption from the highest office. This is why you will see that there are many individuals who are just fed up, and want this pivotal shift. With regards to children, teens, and students who are upset about the outcome of the election. We recognize that they are upset, but what about the children, teens, and students who actually stayed home from school because they did not want to engage in the anti - Trump rhetoric's? What about these children? You see, with any outcome what happens to a loosing side will indirectly impact that of the winning side. Both sides are inter - related. And it is at this point we have to remind ourselves that there is a Republican lead, but there is also a balance of power within the house. There will be representations of voices from both parties. So really everyone has won, it is just with a Republican lead. So if you think about it, is there really an us or them? At the simple level we can say there is not, but at a deeper level, the darkest divides that were revealed during the election race have shown that Us and Them does in fact exist. However, as leaders are calling for unity during the transition of power, we must also begin to ask what caused these divides? What were the underlying roots? As we discover these roots, we must ask - how can we solve this? As a nation how can we heal from this? 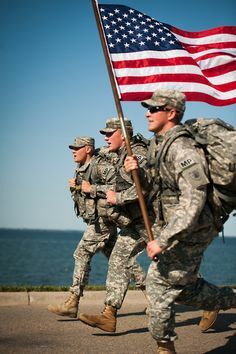 For anyone who has served for the United States of America, you too will know about the deep love, trust, respect, honor, and dignity that arrives with this sacrifice. You have seen hurt, not only on the physical level, but also on the psychological level as well. This is why we should never forget those who have served our country. Those who have served for the good of a country. And when individuals want to unite traitors with loyal service members, this is actually very very tormenting. Ask anyone who has served, they will tell you how they have felt, when they sacrificed, the horror and heartbreaks of what it feels like being tied to a traitor. You see, it takes years to build trust, and it will take an instant, just seconds to break this trust. 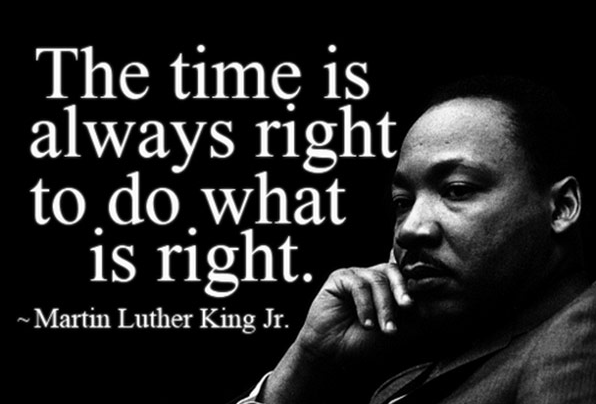 This is why, when we are in the service of people, we have to aim for the highest good of the people. Public trust should always be at the frontier, and as I have mentioned before: this does not mean that we do not care about the economy. We do care about the economy. However, as a nation moves towards the implementation of a new leader - trust should remain the prominent focus. We can have it all, but sometimes just not all at the same time. And the fact that there was no dramatic losses within the financial markets shows that we truly have nothing to fear. With these thoughts I also wanted to take the time to thank Ellen for sharing her thoughts via The Ellen Show. I know that you have been a Democratic party supporter. Sharing your feelings of loss incorporated with humor to an accepting mode, I think is very gracious. These thoughts can also be applied to Miley Cyrus, who shared a heart pouring confession as well. Maybe it is time for celebrities and athletes to begin to assist with the transition. Maybe it is time to model a deep love and respect for a nation that everyone is proud of. Working together for the prosperity of a nation. The crying is actually quite normal. It makes us feel real. Rather than ignoring the feeling, we have to go through the feelings. This thought can also be applied to that of tying a traitor with an honorable service member. It is very difficult to accept. Ask a service member if they would like to be tied to someone who has caused them hurt? The answer will be No. This no is developed through a deep suffering, that has taken place. No one can really understand, unless you have walked the shoes on this path. Wounds take time to heal. Healing happens when we can forgive - it takes time. But it is harder to forget. To all those that were affected by the fires, earthquakes, chemical warfare, psychological attacks, cyber bullying and bullying - it was not in our name. God Bless America. May this transition be that of peace for a nation and also a new beginning for the world as well. As I close my eyes and drift away to a land where there is love, health, peace and blessings. I wanted to take the time to think and reflect. The truth is that November 8th was voting day for the United States of America, and as the results arrived, in the early morning hours of November 9th 2016 we saw history in the making. History has been written. Mr. Donald Trump, is now President elect. This was a time of great joy, a time where hope came alive, a belief in a freshness and a newness. A welcoming change to the White House. The people of America, and at the global level. This election race has been deeply troubling for the people of America. It has been entrenched by emphasizing the deep divisions that have plagued America for probably many years. Focusing on past hurts and not recognizing the need that sometimes we have to put aside differences and unite as one. It is with this hope, I am also very grateful for the victory of President Elect Donald Trump, who has vowed to unite America as never before. This is such an optimistic thought. You see some may say that the President Elect has no political experience, or does not have a political background. But the truth is that this should not, and never hinder his ability as a President. In fact, I think that it is a good thing. As someone who has been termed as an outsider, he can offer perspectives that are different, and enhance the political processes that have already been in place. In fact I don't think that this should be a worry because he has a team of individuals who has a tremendous amount of political experience who will be there to advise him. With regards to the transitional process, I would like to take the time to commend President Barack Obama for such a quick invitation to the White House. The fact that you have stepped up to do this is a great modelling for a nation, that has been heartbroken because of the divisions and divides. With this meeting you are showing a nation and world leaders that two individuals who have a different point of view can come together - put differences aside. After all you both love this nation. That is what unites you. You have recognized that it is time to unite. together at a point of resolve, even in times of disagreement. Transition is difficult for any human being. This thought ties to the idea of change. Change is difficult for everyone. The word change suggests that something must be gone or given up in order to get to the next point. This is why I prefer the word continuous improvement (which I mentioned earlier). This is the interesting point about transition. In order to do so we must go through a process, it just does not happen. We can connect this idea, to that of a child who leaves home to go to a daycare. The child may decide to take a few objects, such as a toys from the home, as a mechanism of transit from the home to a place of daycare. To feel secure. In the same sense transition can occur with object or even with thoughts. Thoughts can take us from the point A to Point B in any type of process. The transitions can simply happen through our thoughts, just by weighing in the positives. It is with these thoughts I remain in a place of deep hope and optimism for the United States of America. I also take the time to think about the many choices that I face. I think about a transitional journey. I hope that my days here are those of peace and support, as I continue to focus to complete the goals that we have set here. I hope that this will be a time where we can give back to the community from a place of unconditional love. Thank you to all the world leaders who have sent their messages of support and congratulations. Dear United States Of America - My heart yearns to be home.